You’ve no doubt heard of blackjack card counting. Years ago it was considered the holy grail to beat the casinos. However, in most of today’s casinos, the game has changed and such techniques only give you a very slight edge. Yes you can profit, but your edge is usually not great enough to make play worthwhile. Does this mean the old days of beating blackjack are over? . . . Far from it. While card counting can still give the player a slight edge, it is certainly not the only method of obtaining an edge. We have developed a discrete blackjack cheating device that can give you up to a 10% edge over the casino playing blackjack. This is an enormous edge when you consider the much smaller edge casinos usually have against players (house edge). The highest edge you can ever get at any game is on roulette and using the roulette computer devices at roulette-computers.com. Next best is the roulettephysics.com system which achieves reliable profits on a large portion of modern roulette wheels, with predictions before the ball is releasde. My blackjack device is called CCSA, which stands for “Card Counting & Shuffle Analysis”, and it does exactly what the name suggests . . . it not only tracks exact cards to advise you when to hit or stand, but it also bases predictions of the next card on a shuffle analysis that doesn’t require the user to have any experience or knowledge. In other words, it uses every possible technology to give you literally the highest edge possible. It is without a doubt the easiest way to win at blackjack. Card Counting: Firstly, most blackjack cheating devices only count cards. Most are very simplistic and don’t actually make calculations and recommendations for play based on actual predicted cards. Instead, they either track either a limited range of cards, or employ a very basic method where the player keeps a +/- tally based on the value of the cards dealt. Such methods don’t require electronic devices, and even when devices are used, the edge is usually insignificant in modern casinos. My computer is very different. It tracks the exact cards dealt, and makes recommendations on play based on exact cards. This ensures the player edge obtained from card counting is literally as high as it can be. Shuffle Analysis: Smarter casinos use card shuffling machines that “randomise” the cards. The developers of such technology and casinos would have you believe the shuffles are completely random and unpredictable. This is far from the case, and in actual fact it is nearly impossible for any shuffle to be completely random. Even in the worst-case scenario where cards are fed into the shuffle machine on a continuous basis, the shuffles are still not completely unpredictable. It is important to understand that while some shuffle machines produce considerably less predictable shuffles, there is no shuffle machine in existence that produces a completely random and unpredictable shuffle. This is literally the most effective way to at at blackjack. But is it legal? . . . That depends on where you play. Typically, casino gaming laws clearly state the outcome of games may not be influenced in any way. However, rarely will legislation state the outcome of games cannot be predicted. 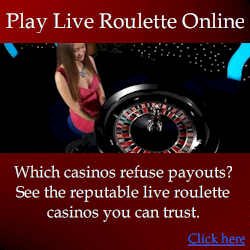 This is the same loophole taken advantage of by roulette computer players, where the winning number is predicted but not influenced. Literally Obtain the Highest Edge Possible: Uses card counting and shuffle analysis techniques for a combined higher overall edge. Exact cards are counted rather than tens and aces, although if you prefer, only specific cards can be tracked. The shuffle analysis component has the same power of software on a desktop PC, but the processor fits in a pocket or even shoe. Discrete electronics that cannot be seen or detected by Casinos: you would need to be stripped bare naked for the casino to know you were using the equipment. Ability to Operate without Wireless Earpieces or any Radio Transmissions: The presence of the technology cannot be detected by casinos. Manual Test Modes to Test Algorithms: Test the accuracy of the mathematics to ensure you are getting the highest edge possible. Very Easy and Practical to Use: it was designed to be used in real casino conditions, not home use. This ensures you will actually be able to benefit from it. Easy to Swap Players Instantly: anyone can take over application to draw heat away from consistently winning players. Covert application is essential for continued success. Unlimited free updates to the software: as casino technology evolves, so much the technology used to beat casinos. You receive all software updates free of charge to ensure your edge is as high as possible. Unlimited free support: receive all the support you need including clear and concise instructions, and support via email, phone, skype and in person. In real casino conditions, application is seamless and remarkably easy, even for a novice. Whether you are a professional blackjack player, or completely new, you will literally achieve the highest edge possible. Irrespective of experience, two players applying the device on the same hands will make exactly the same decisions, whether it be to hit, stand, split or otherwise. While it delivers an enormous edge, roulette computers still deliver a much greater edge. However, roulette computer require an element of skill to apply successfully, whereas the blackjack computer require virtually no skill. Successful application does of course require practise though, in particularly with behaving like a normal player, rather than a professional player. And avoiding the casino’s radar is essential for continued success because if your face becomes known, your photo may very well be placed on a global database of consistent winners. This won’t mean you’ll never win again because it is impossible for casinos to always identify you, but it is better to avoid detection and prevent possible undue problems in the first place. This is all part of what I teach you. To develop this technology, we enlisted the services of a full time development team. It is the same team that has designed and built the Hybrid Roulette Computer, the World’s only automated roulette prediction technology. Under the supervision of myself, Steve Hourmouzis, we have developed without a doubt the World’s most effective predictive casino game technology. While our roulette technology can deliver a considerably greater edge, the CCSA blackjack computer is preferable for some players as blackjack is their game of choice. How to Purchase:The CCSA blackjack computer is no longer available. We have stopped development in favour of our roulette prediction technology. Visit https://www.roulettephysics.com/how-to-win-at-roulette/ to learn more about how to win at roulette and winning roulette systems.